It’s Up To You…. Chicago? 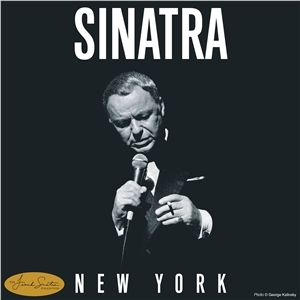 Teachers in New York might have to change the city in Sinatra's famous song. Michael Dunn over at Modern School nicely outlines the coming contract battle between the Chicago Teachers’ Union and its employer, Chicago Public Schools. Mayor Rahm Emanuel wants to expand the school day by 90 minutes. The union wants a 30% raise, lower class sizes and greater enrichment opportunities for students. They have put money aside for a public relations campaign and are already making arrangements for a strike should contract negotiations break down. I agree with Michael Dunn in that teachers, even workers in general, across the country should keep their eyes on Chicago. For teachers in New York City, seeing a union actually standing up for its members and students is strange indeed. It seems like it was just this past Thursday that our union sold us out by agreeing to a bonehead evaluation system based entirely on student test scores. In return, the union got absolutely nothing for its members, not even the due process for teachers rated “ineffective” for which they had been holding out. Our fearless leader Michael Mulgrew can be seen hobnobbing with the people responsible for the chartering in this, the country’s largest school district. If New York City schools serve as a model for the rest of the country, then there is plenty for the country to fear. Chicago has been called the “second city”, but New York City teachers seriously need to consider it the first. It occupies an important place in the current wave of education reform. The current Secretary of Education, Arne Duncan, cut his educational teeth by chartering schools as CEO of CPS. The Race to the Top program championed by President Obama is Duncan’s Chicago program writ large. Chicago’s current mayor served as President Obama’s bulldog early in the administration. There is an argument to be made for Chicago, not New York, as the symbolic leader of school systems in the era of education deform. Mayor Bloomberg’s public relations war against the union here in NYC has been wildly successful. This is due in large part to Bloomberg’s ties to the media as a former mogul himself. However, his success also has much to do with the fact that his accusations are true. Rank and file teachers are certainly not a bunch of well-fed union bums, but Michael Mulgrew and the rest of the leadership certainly are. Unfortunately, Mulgrew’s face is the union to many New Yorkers. Much like Randi Weingarten before him, all of his “looking out for the best interests of kids” rhetoric rings hollow, mostly because it is. With the millions of dollars the UFT pulls in annually, it took them up until a few weeks ago to run one measly television ad, a hokey and clichéd affair with pretty, mostly young teachers working hard in the classroom. Most of his effort is spent pulling off back room deals with Bloomberg and Cuomo. When the union leadership brings up children at all, it is as an afterthought, the requisite lip service coming straight from some PR handler’s playbook. Everyone in NYC knows this, giving the UFT no traction in the arena of public opinion. Teachers in NYC have to take a page from CTU’s playbook now. When their union proved to be shills for the forces of ed reform, they turned the leadership out of office. When their Machiavellian mayor proposed a longer school day, their new union immediately responded with a deluge of common sense demands that school districts around the country have long neglected. Contrast that with a union that rolls over and dies in every negotiation and smiles in the face of their members like they did them a favor. It is time for New Yorkers to swallow their pride and give Chicago their due respect for having a teachers’ union ahead of the curve. In terms of what needs to be done, teachers in Chicago are making theirs the first city. This entry was posted in An Embattled Career, education reform, Politics, School, teaching and tagged Chicago, education, Education Reform, New York, School, teacher bashing, Teacher Contracts, Union Corruption, Unionism. Bookmark the permalink. Good analysis of Chicago and CORE. CORE came out of a small group of teachers reading Naomi Klein in 2008. I was hanging out with the leaders in LA on the summer of 2009 when they were just talking about running in the election and less than a year later they were running the union. One major difference is that CORE is democratically run vs Unity which consists of sheep. You can’t really move the UFT in the direction you suggest without democratic union. Building a CORE-like caucus is really a first priority here even if conditions are so different from Chicago in terms of actually winning a union election. But such a caucus can win the schools building by building — really a door to door battle with Unity which will cling to power with every dirty trick in the book. It does seem that Unity is much more entrenched here than their pre-CORE counterparts in Chicago. If we find the right message that resonates with people, preferably something that shows that treating teachers with respect means treating children with respect, then teachers could build an apparatus outside of the union. It seems to be the only way to go in the Unity-dominated UFT.